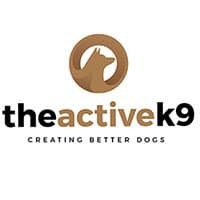 At The Active K9, we get your dogs trained. 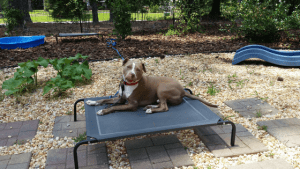 We take a hyper, jumping, out-of-control dog, and we train him in basic manners, leash walking, and calm, polite behavior. We spend time teaching your dog how to understand leash communication, and how to listen when we provide information through the leash. These are basic requirements to have a well trained dog. However, training dogs isn’t a 2 or 3 week process and then done. It requires continued practice and reinforcement. Dogs being trained at TAK9 can get really, really good at their obedience skills and manners, but if they don’t continue training at home, all that hard work can fall apart. So what do you do at home to continue to have trained dogs? You do some practice, some drills, but more importantly, you make every moment a training moment. If you’re ready to go for a walk, and your dog is very excited and wants to rush out the door, you make him wait. If you have rules in place for your dog – like not getting on the couch, and your dog gets on the couch, you give him guidance to get off. Having basic standards and rules for behavior and always enforcing them is the key to keeping dogs trained. When your dogs knows that he is expected to listen and follow rules, he will stay on his best behavior. But when he knows he can get away with things here and there, you will find he will test you more and more in different situations. It’s hard work at the beginning to keep dogs trained, but as you get into the habits of enforcing your rules with your dogs, it becomes easier and easier. You’ll have the habits of training your dogs ingrained in your daily life and won’t even notice after a while. This is the best and easist way to keep the training up – go about your daily life with the rules and structure that maintain your dog’s manners and polite behavior. It will become effortless…and you will have a really well trained dog! For more information, take a look at our programs and rates. To get started, contact us today!